Nobody burps better than Deadpool! 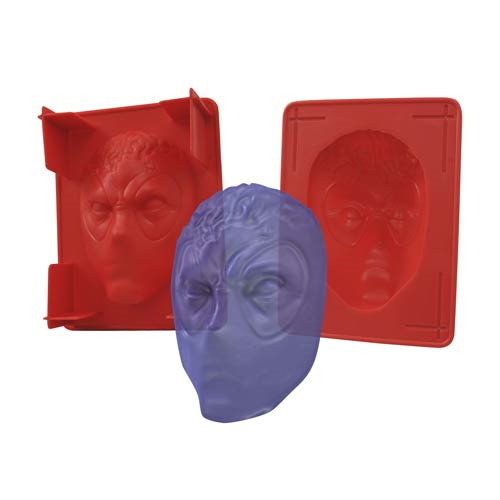 Put the Merc with a Mouth inside your stomach using this plastic gelatin mold of Deadpool's head. Cast an approximately 8-inch by 6-inch chilled gelatin dessert in the likeness of X-Force member and hired killer Wade Wilson, complete with squinty eyes and partially exposed brain. But you might want to eat it fast - the self-regenerating mutant could be back on his feet in no time! This Marvel Deadpool Gelatin Mold comes packaged in a full-color window box. Dishwasher safe. For ages 14 years and up.